Prime Minister Binyamin Netanyahu has been invited to Moscow to discuss the current crises involving Syria and Iran. 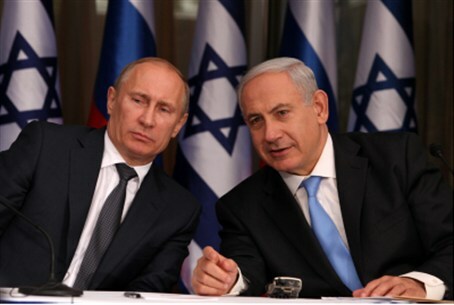 Prime Minister Binyamin Netanyahu has been invited to Moscow by President Vladimir Putin to discuss the current crises involving Syria and Iran. The letter, which arrived Wednesday morning, also congratulated the three-time Israeli prime minister on successfully forming a new government coalition for the third time. The invitation requested that Netanyahu come to Moscow “for discussions” that are likely to also address the threat posed to the Jewish State by both situations. Although Russia and Israel have stable diplomatic relations, Russia has also backed Iran for many years, having assisted in the completion of Tehran’s first nuclear reactor. Moscow also has long prevented the United Nations Security Council from condemning Damascus for human rights abuses over its brutality towards protesters. Russia also blocked numerous U.N. resolutions that would have referred the regime of President Bashar al-Assad to the International Criminal Court at The Hague. Nevertheless, over the past three months, the Kremlin has started to acknowledge that it is likely Assad’s days in office are numbered, and has quietly begun evacuating its citizens from the country.